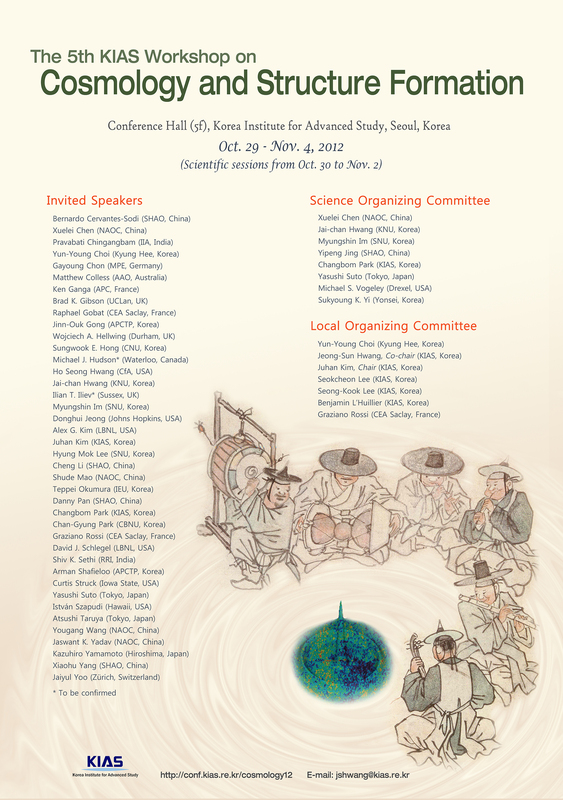 Scientific sessions will be from Oct. 30 to Nov. 02. Deadline of on-line regitration is Oct. 05, 2012. For the possibility of poster presentations and participation after the deadline, please contact us directly. Thanks! 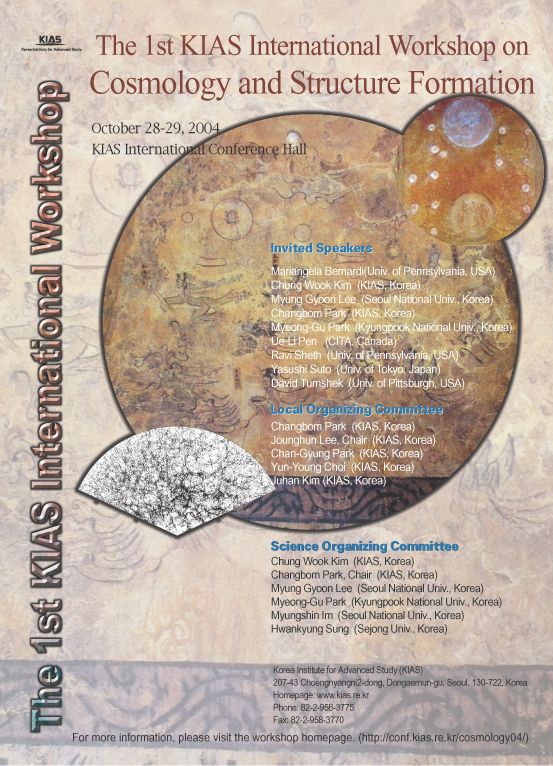 We are pleased to announce "The 5th KIAS Workshop on Cosmology and Structure Formation", hosted by Korea Institute for Advanced Study (KIAS). 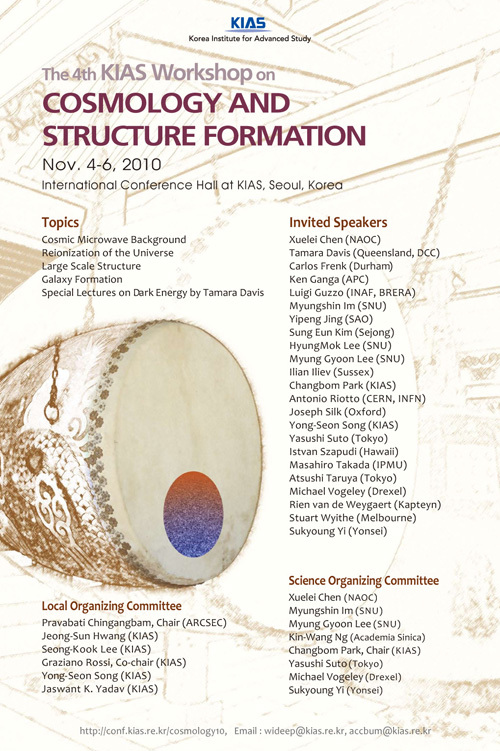 of the CMB and LSS, and advancement in theoretical understanding. 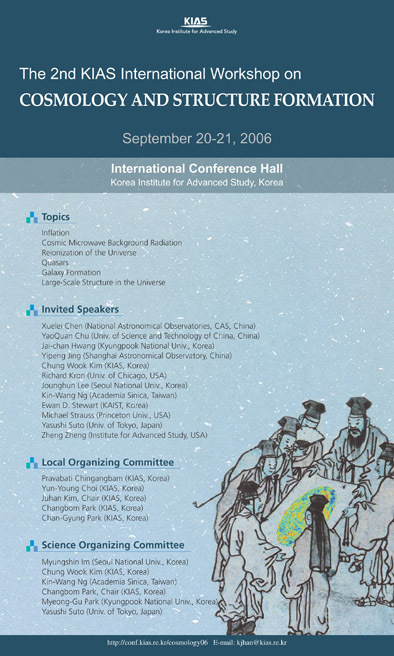 The aim of this workshop is to review the recent progress in the observational results and our current state of understanding of them from a theoretical perspective, in particular, within the framework of the standard Lambda CDM model and inflation.